There have been some major changes to USwitch’s Best Buy table over the last few days. Ovo Energy and Extra Energy both dropped prices and managed to move up several places in the list, for instance. However, their price cuts have not managed to knock First Utility from the top spot. The utility provider remains at the top of the Best Buy list. Uswitch found that First Utility’s iSave fixed price until September 2015 is still the cheapest tariff available for people who want to find a new energy supplier. It costs an average of £992 per year at a frozen price until September of next year. However, it does cost a lot of you choose to switch suppliers before the end of your plan as there is a £30 per fuel cancellation fee. Extra Energy just managed to miss out on the top spot my a mere £1. The average price for this provider is £993, fixed until September 2015. It comes with a £25 per fuel cancellation fee if you end before the term is up. There are some options that do not come with the cancellation fees that First Utility and Extra Energy impose on their customers. Flow Energy’s Thames Online Fixed September 2015 tariff is one of them. This costs the average household £1010 until September 2015. Similarly, there is the EDF Blu+ Price Promise tariff that lasts until February 2016. The average family pays £1049 for this. The cheapest green plan comes from OVO Energy who managed to score 5th place in the table. It has recently dropped its prices due to falling wholesale costs. 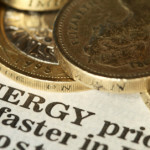 The Cheaper Energy Fixed tariff will now only cost a home £1,011 with a £30 cancellation fee. First Utility is a supplier that brands itself as an alternative to the Big Six energy companies that provide gas and electricity. Unlike those companies, First Utility does not generate its own power but instead purchases it from international markets. It has a relationship with the major international provider Shell in order to achieve this. First Utility was launched in 2008 as a spin off from First Telecom. Its founders are Mark Daeche, Darren Braham and Marcus Citron. It appointed the former Chief Executive Officer of Last Minute, Ian McCaig, as its new Chief Executive Officer in January 2012. The utility provider is based in Warwick in the south of England. The only Big Six company that made it onto the list was EDF Energy.